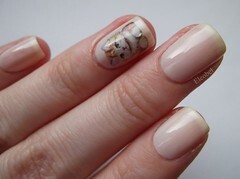 After my success copying the Jessica Biel mani, I wanted to try some more nail art. I was on a high and success breeds confidence! However, I’m not very skilled at art or very creative so I went to the always impressive The Nailasaurus for inspiration and saw this. 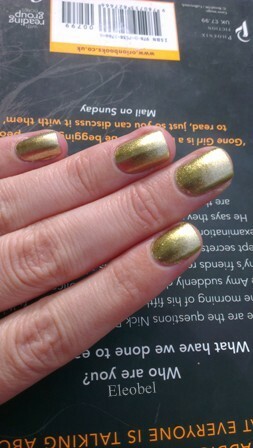 The Nailasaurus created this look by hand drawing the gold lines, but that’s way out of my league, so I thought I might recreate it with striping tape. 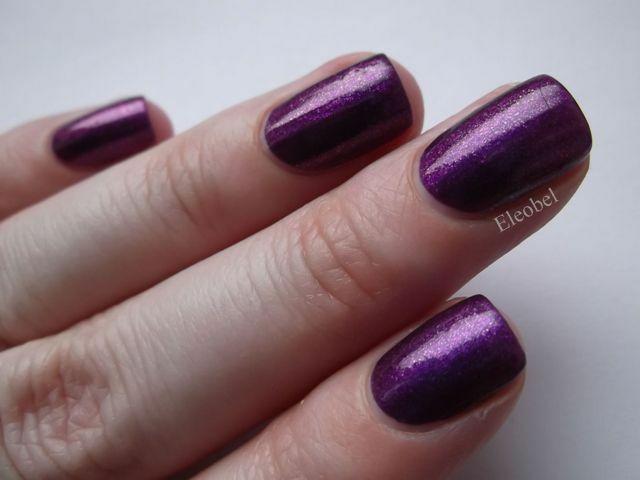 I used two coats and my usual Essie Good To Go topcoat and the formula was perfect. 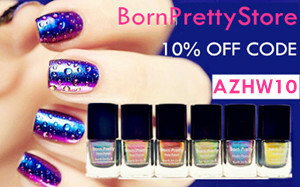 All Orly’s have great formulas and wear time. 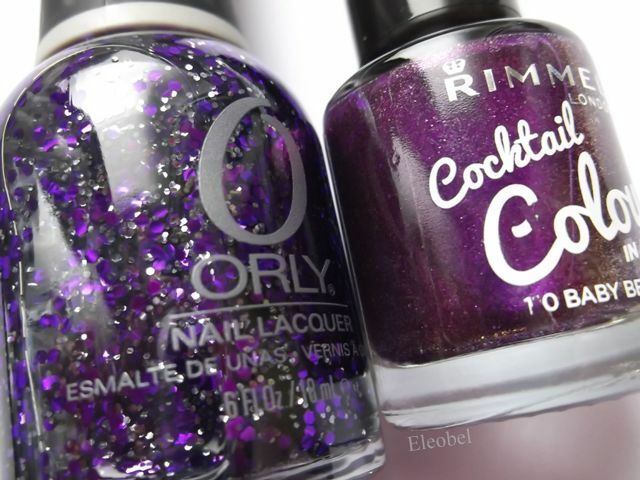 Today I’m wearing Rimmel Baby Bellini, one of the Cocktail Colours collection and Orly Can’t Be Tamed, which has purple medium glitter and gunmetal smaller glitter in a clear base. 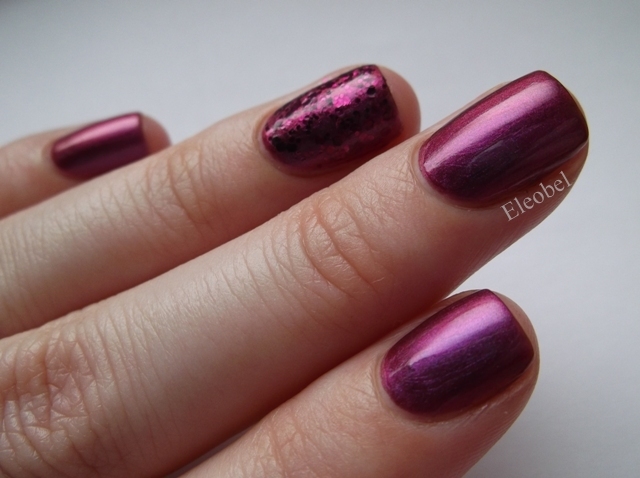 The Rimmel is a very pretty purple with a glassfleck finish, so it shimmers and catches the light. This finish makes it just different enough from a regular purple creme that it warrents a look but it’s still fairly subtle. I wanted to add more sparkle. ALWAYS more! 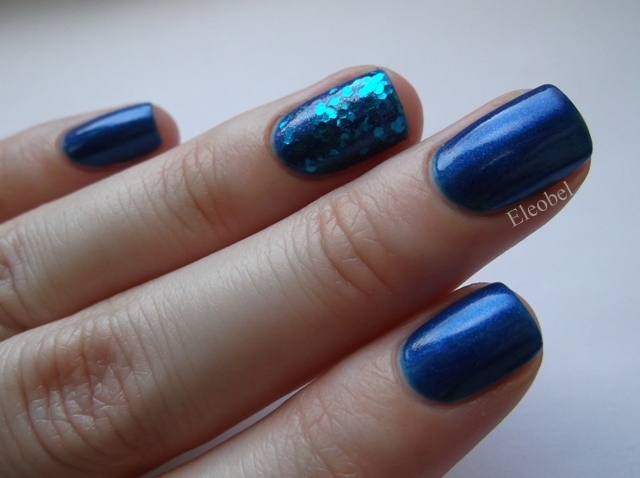 :) So I added the Orly, in real life the two are a similar colour and went together well, but did not photograph accurately. 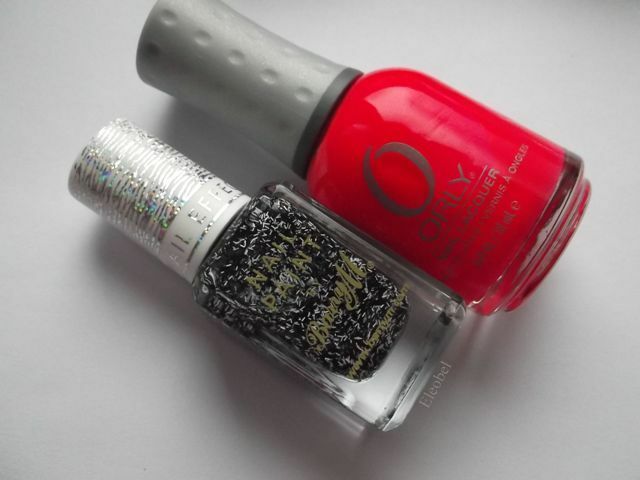 Here’s the Orly over the Rimmel. 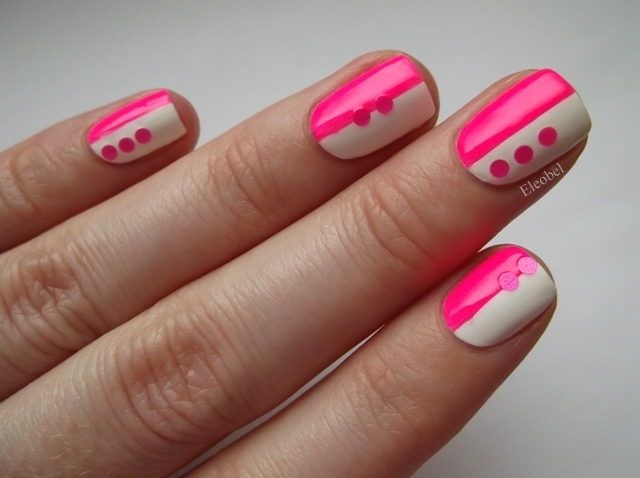 Today I’m wearing a really fun mani. 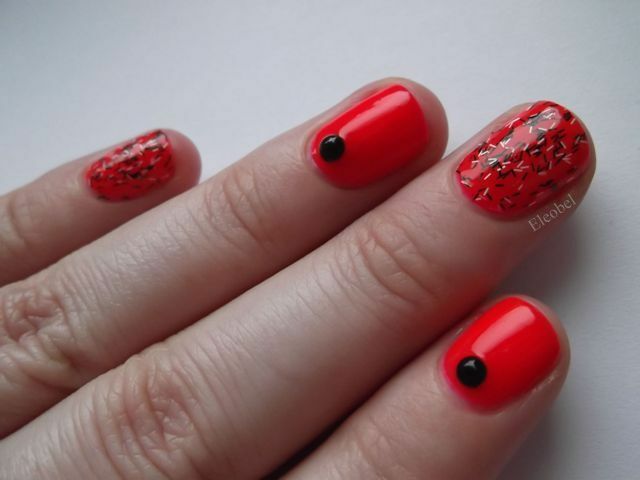 A fab neon pink, Orly Passion Fruit, and a black and white bar glitter, Barry M Liquorice. In my pics, the neon pink looks a bit red but in real life it’s completely pink. 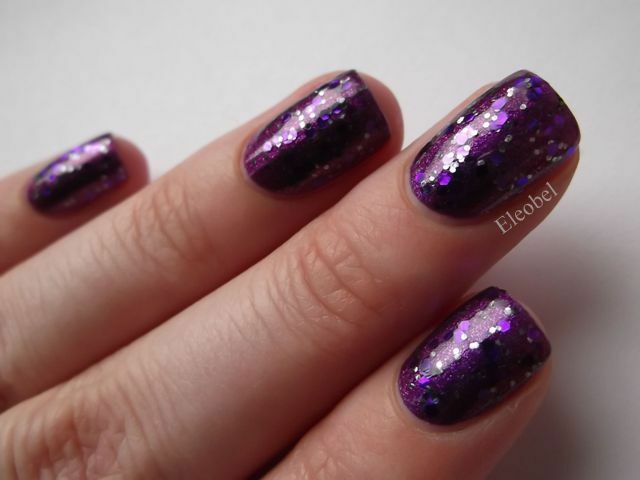 The bar glitter has a matte, satin finish to it that is really interesting. Usually I want my glitters to sparkle as much as possible, but here I really like the shape and colour combo of the black and white. I wanted to start this year off with one of my New Year’s resolutions – to have my own blog! So welcome to my very first post! I hope you enjoy. 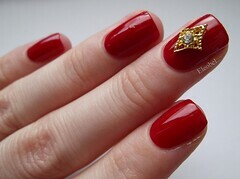 This is Orly Naughty which is a fabulous vampy red. 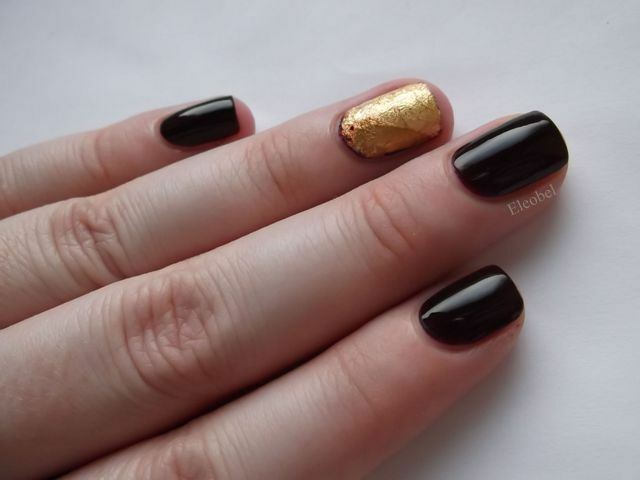 I used two coats and I wanted to add something to make it a bit more special for the Holidays so I added some gold leaf that came in an Essence nail art kit. 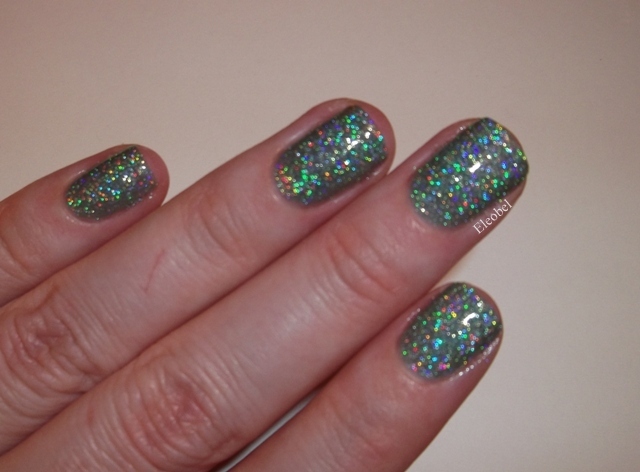 Finally, I topped it off with Nails Inc Kensington Caviar Top Coat. 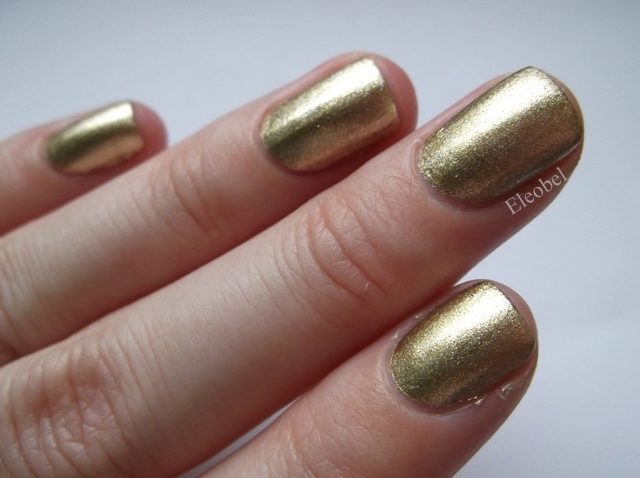 Unfortunately the topcoat dulled the shine of the gold leaf and caused the nail polish to run a bit but I still liked the overall look. 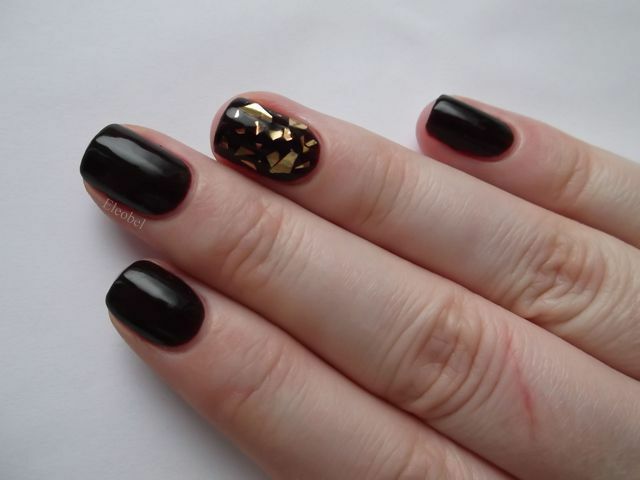 I suspected the gold leaf would dull when I added topcoat so on my other hand I used some gold shards, which were also in the Essence nail art kit.